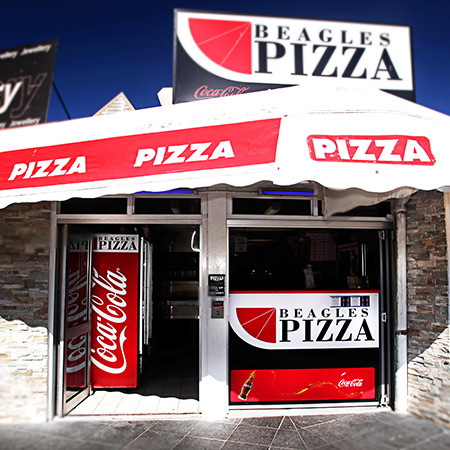 Beagles Pizza is located in the heart of Airlie Beach. We have an exciting range of Classic and Traditional Pizzas plus a range of sides dishes and meal deals which offer real value for money, we use only the freshest ingredients delivering quality and taste without breaking the bank. Beagles pizza also provides an online ordering service for your ordering convenience. We look forward to seeing you soon to experience a slice of the Beagles Pizza. Taste the Difference!